Get fit, get hired, promoted, or hitched. Maybe retire, relax, and even get rich. Be strong, be wise, be giving and kind. Move forward, succeed, continue to climb. Motivation.com helps people help themselves by providing inspiring, easy-to-use, powerful, and rewarding “motivationals”—our name for the tools that you can use to dream, plan, and succeed in any or all areas of your life. As we charted Motivation.com, we imagined great things and brought them to life. We knew the site had to genuinely help people instead of just claiming it would. To bring about real change we understood the need to share ideas that are inspiring enough to try, rewarding enough to keep using, and powerful enough build lasting change and improvement. From this original ideal we collaboratively built this platform utilizing our network of experts. Today, we help empower thousands to be, do, and have more—including you! We invite you to join us in order to have fun doing what truly matters to you, because people who are doing what they love truly enjoy their lives. Whether losing weight, finding a mate, landing that dream job, helping others, rediscovering your spirit, feeling passionate about your daily pursuits or just to keep moving forward, Motivation.com is here to help! 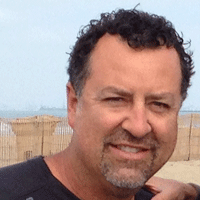 Jeff Busche is a true social and internet entrepreneur. As the internet was hatched, Jeff recognized its potential power and became a pioneer in that infancy by procuring domain names and building websites that improved economies, provided resources to have fun, and gave people opportunities to live better lives. 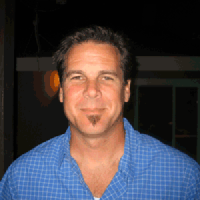 From vacationrentals.com to snowboarding.com, Jeff’s technological wizardry, keen awareness of client needs, and deep philosophical introspections continuously intersect to create powerful and meaningful tools that benefit the world. 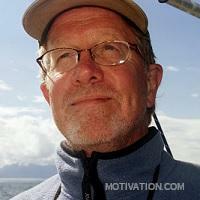 Don Orr walks the talk when it comes to living life fully and helping others do the same. As a partner at Motivation.com and other websites such as PersonalTrainer.com, Don’s focus is at once singular and ubiquitous: to help people have fun. Don builds and keeps relationships that matter. Whether relatives from out of state who are guided from one fun day through another or someone just catching the same plane as him, people are lifted up in Don’s company as he makes you feel valuable and valued. Jason Hennessey is a man on a mission—to build and operate easy to use, attractive, and life-affirming websites. Whether this site, snowboarding.com, or others, Jason has helped spread information and good ideas to the world with his down-to-earth, easy going, can-do attitude. When a platform needs to be built—whether a safe and loving home for his family or a custom content management system with gadgets galore—Jason can be counted on to provide. Ken Streater has led life-changing events around the world for over 30 years. From the deltas of Botswana to the mountains of Siberia, the streets of China during the Tiananmen Square uprising to deep, personal conversations with luminaries and everyday heroes, Ken has met thousands who have discovered or seek their calling. He knows first-hand that we each have a unique personal greatness that the world is waiting to benefit from. As an acclaimed author and speaker, Ken inspires individuals and communities to find purpose, serve others, and live passionately.